Gentle cream scrub for a mild, intensive cleansing of the body. 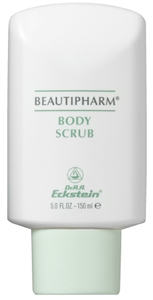 Smoothes rough areas by gently removing dead skin cells and skin impurities. Leaves the skin exceptionally soft and smooth. Instructions: Apply during bath and shower. Massage into skin to exfoliate. Rinse completely.